The DecoTech system offers a new way to add solar energy to your home. The traditional rack-mounted solar roofing panels are bulky and require dramatic installations that significantly mark-up your roof, all for an end-result that is large and unappealing. But no longer do homeowners have to choose between living eco-friendly and their home's curb appeal, not with solar roofing with the DecoTech™ System. 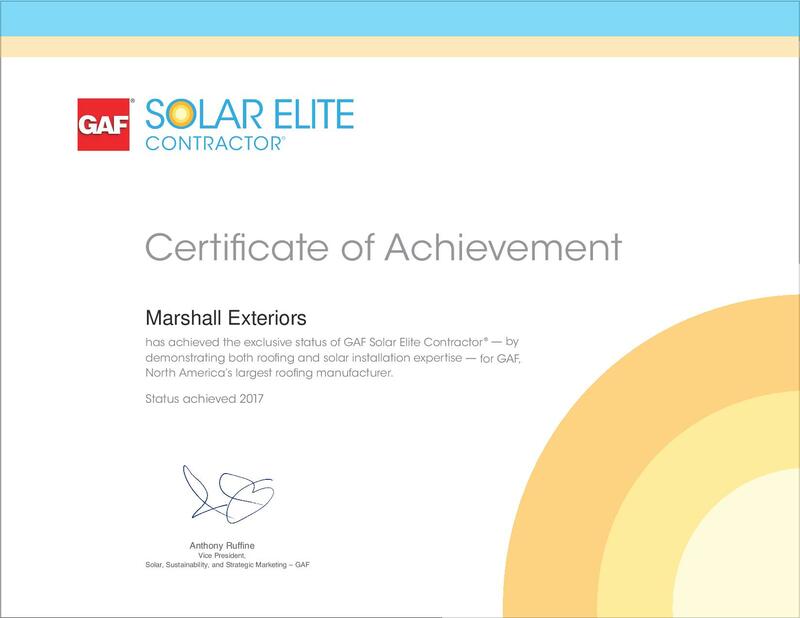 With Marshall Exteriors, our solar panels are high-quality, durable, elegant and affordable. The low-profile solar roofing system from DecoTech™ can be installed by one of our expert roofing contractors, without racks, exposed wires and without the large, unsightly equipment. no matter rain or shine, they will function efficiently. Rack-mounted panels do not offer perimeter protection with counterflashing and step flashing, which protect against leaking and infiltration of debris and animals – the solar panels from DecoTech™ provide that and produce as much energy as standard rack-mounted solar systems. Affordable: These superior quality panels are as cost-efficient as they are effective. Integrated: The interlocking solar panel system from DecoTech™ allows for a straightforward, smooth installation process. Beautiful: Our solar panel system is simple, classy and will enhance your home's image, bringing you affordable solar energy that is striking. Choose the next generation of solar energy with the DecoTech™ System. 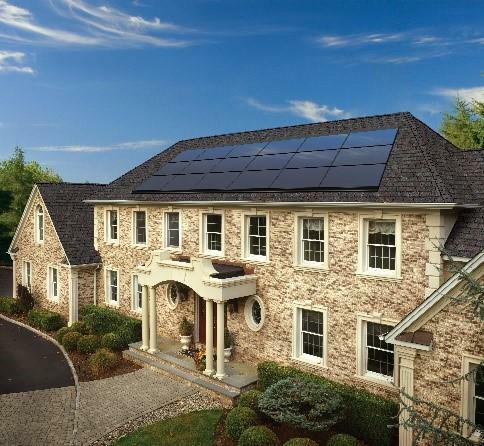 We at Marshall Exteriors of New York have established a new standard in solar roofing, with products that look classy, are high-performance and requires a simple, less invasive installation than with bulky, rack-mounted solar roofing equipment. Are you looking to go green but don't plan on sacrificing your home's appearance? Look no further than solar roofing with the DecoTech™ System. Each of our installations come with a limited-time manufacturers warranty that protects against product defects or misapplication. The professionals at Marshall Exteriors will provide affordable, long-lasting roofing services, with a free written estimate and inspection! To schedule an appointment for a FREE quote on a solar panel replacement, repair or installation in The Greater Finger Lakes Area, including Fairport, Canandaigua, Geneva, Newark and nearby, give us a call at 1-855-237-7177 or send us an email to get started.